DVDFab Player 5 is the latest addition to the software arsenal of Fengtao software. The there most popular software product is the DVDFab 10 that we reviewed some time ago. DVDFab aka Fengtao Software is known to develop consumer software with a unique approach which is to provide some useful and features that are not found in other similar software. Fengtao software just released the DVDFab Player 5 on 20th December 2017 and we are excited because we are the first one to review it on our blog. The software is currently available to download for Microsoft Windows only. This software is specially designed for 4K UHD monitors and TVs. So if you have an HDR10 compatible TV or monitor on which you want to watch movies in ultra high definition with 20/20 visual acuity then consider reading this review. Simply it’s a media player which is specially designed to play 4K UHD and Blu-ray movies on a TV having a resolution of 2160p. Since the commercial launch of 4K TVs, there has been a shortage of 4K content. This is because the 1080p resolution is still popular because of there low price. But having a 4K UHD TV and watching 1080p content on it or watching 4K movies that don’t give the actual ultra high definition feeling to your eyes because of the TV’s inbuilt software 4K player, is not good at all. So DVDFab Player 5 is the best Blu-ray player for your entire movie collection, be it your collection of Transformers or Star Wars movies. Supports all navigation menus on DVDs and Blu-ray discs. Supports HDR10 which delivers sharp images and excellent color production on 4K UHD screen. An HDR10 compatible TV or monitor is required for this feature. Fully supports high-res audio like Dolby Atmos, Dolby TrueHD, DTS-HD Master and DTS:X, and 7.1 sound output for theater-like experience within a room. Plays all popular video formats like MP4, MKV, VOB etc. It also plays DVD and Blu-ray ISO files. DVDFab Player 5 will work seamlessly on all modern day desktop and laptop computers running Windows 10/8/7/Vista. If you are using this software for a 4K UHD TV then your TV should be HDR10 compatible for watching the ultra high definition movies. If you are going to use this in PC mode then DVDFab recommends Nvidia GeForce GTX 10 (Pascal) series or above graphics card for HDR mode. Having a Blu-ray drive is necessary if you have Blu-ray discs or DVDs. The DVDFab Player 5 is available to download for Microsoft Windows only at present. You can download this software from this link – Download DVDFab Player 5. When you open the program then you will be given two modes, PC mode, and TV mode. If you are using it on PC then use PC mode. If you are using it for TV then select TV mode. Make sure you have HDMI 2.1 cable to connect your PC to TV (older HDMI versions will also work though) and select the TV screen to use it as a monitor in full resolution. You should adjust your video card settings for achieving the best viewing experience on the TV. Just make sure that your video card supports at least 4K resolution. Open the program and select PC Mode and you will see two options to load the videos. 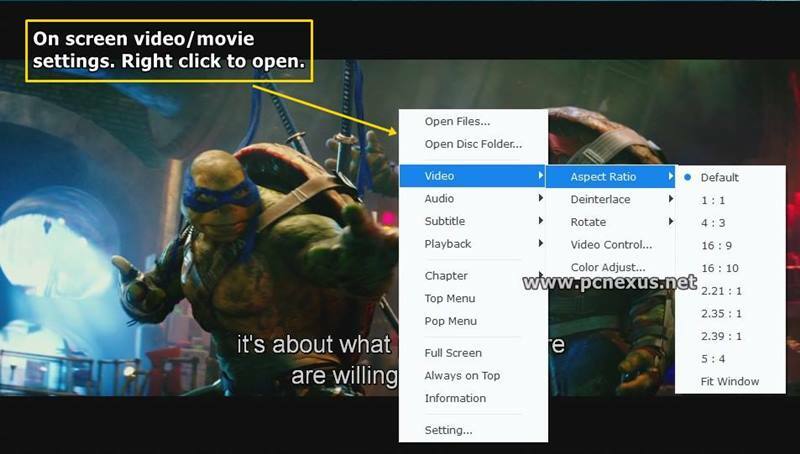 Either you can directly use the DVD or BD drive or click the ‘+’ button to load a 4K movie from your PC’s hard disk. The player has a simple user interface, see the image below. Clicking the eject button on the top right of the player window will open up the program settings. You can customize the 4K player settings from here like enabling ‘HDR mode’, customizing the subtitles by changing their font, size, and color. In settings, you can also select the Blu-ray region from the three regions A, B, and C.
Hotkey option will let you set shortcuts for the program with a single button press. To change a hotkey simply open it and left click on any key and press your desired key to set the new shortcut. Now to access other video settings just right click on the player while the movie is playing. You will see options for ‘Video’, ‘Audio’, ‘Subtitle’, ‘Playback’, ‘Chapter’, ‘Fullscreen’ etc. The video options will let you adjust the aspect ratio of the movie, rotate the video, and deinterlace it. You can also customize zoom level, pixel ration, and vertical shift by clicking the ‘Video control’ option. If it’s a dual audio movie then right click on it then click ‘Audio’ and select the desired audio from the dual audio language. Clicking the ‘Subtitle’ option will let you choose subtitles and you can also turn them off if you don’t want them to appear on the movie screen. The TV Mode has a different UI and it lets you play movies from DVDs, Blu-ray discs, hard drive, and DVDFab movie server a feature that is coming soon to this 4K UHD player. Open the TV mode and select your movie source to play. This mode is designed for 4K UHD TVs connected to your PC’s graphics card via HDMI output. Nvidia GeForce GTX 10 series graphics card are required for the HDR mode to work correctly on TVs and for a full 4K ultra high definition experience. There are two versions of this software 4K player. The one is the standard version and the other is the Ultra version. The only difference between the standard and the Ultra version is that the Ultra version supports 4K UHD movie playback while the standard version doesn’t play 4K movie files. The standard version also doesn’t support HDR mode. So buy the Ultra version if you want this player to work with your TV’s ultra high definition screen. The Windows version is priced at $99 for 2 years and $149 for a lifetime license. Fengtao software doesn’t give 30-day money back guarantee on their software. So you are advised to test their software thoroughly before placing the order. 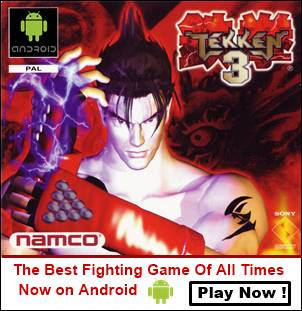 To any time buy this software check the link below and also check Fengtao Software refund policy. ➜ Christmas Offer: DVDFab is giving 25% sitewide discounts on their products until 27th December 2017. Use coupon code 25GIFT to avail 25% discount during checkout. ➜ Note on refund: If you buy a software after completely testing it then what’s the point of getting a refund. You buy the software after using it in trial mode only if it satisfies your requirements. So if you are buying any software from DVDFab then make sure to use it completely in trial mode and then decide whether to buy it or not. Don’t worry about the software bugs as they are temporary and get fixed in coming updates. Separate video playing modes for TV and PC. HDR10 mode for ultra-high definition entertainment. A compatible TV is required. Compatible with Windows Media Center remote in TV mode. Not for low-end video cards. TV mode works only with Nvidia GeForce GTX 10 (Pascal) series or above graphics card. Low-end graphics card will not give 4K UHD experience on TV. So this is the DVDFab Player 5 review. Hope you liked it. If you have any questions about this 4K UHD player for Windows then do ask via comments and take two minutes to share this post. I take it compared to PowerDVD 17/18, this software is not limited to running an Intel Z370 board (and above) so it can be ran on a Ryzen built system. Are AMD GPU's excluded as well since it's mentioned that a Nvidia 10 series GPU is required for playback. I thought it was kind of ridiculous you needed to use the onboard iGPU for playback as it would not run through the GPU. DRM and such is my guess. No, AMD processors aren't excluded. But you'll need AMD RX450 or above for the best performance.